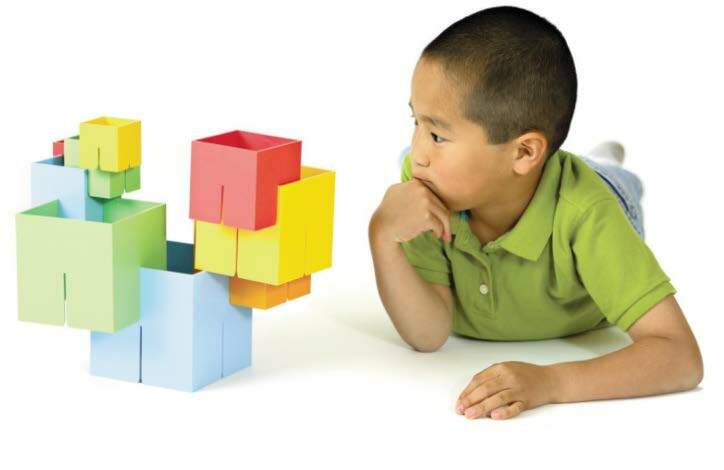 Dado Cubes is a set of ten building blocks with slits in them designed for children ages 3 and up with learning disabilities to build cognition. Dado invites visual spatial development and problem solving as well as introduces the architectural principles of proportion, balance, structure, and color. Dado Cubes engages the user&apos;s imagination as the slits on each cube are interlocked to create an unlimited number of three dimensional structures. Includes ten blocks scaled from 1 inch to 5 inches. 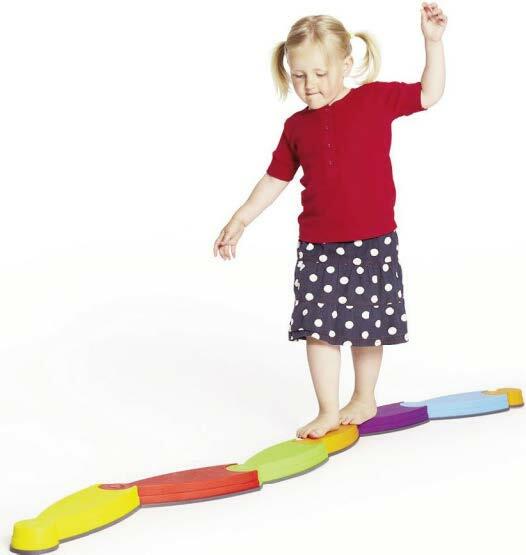 River 7 Piece Set is a recreational game for individuals with low gross motor skills to improve their stability. Connect the pieces and balance on the path. The set is made of durable plastics with anti-slip rubber edges, and each piece is stackable for easy storage. The elements are easy to join and very flexible, so only the imagination sets limits to the course of the river. Includes six pieces of River Steps and one Connector Link. Can withstand weights up to 110 pounds. Learn-to-Play Piano is a miniature piano designed for children ages 3 to 4 with fine motor disabilities to encourage visual, motor, and sensory skill development. 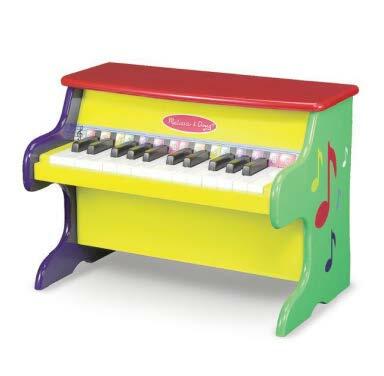 This brightly painted upright piano by features 25 keys and two full octaves to give children a wide range of notes to play. It includes a songbook and a color-coded key chart. 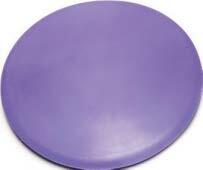 The Bitty Bottom Cushion Seat is a soft seat designed to make smaller children, who need to wiggle, fidget, and move, focus and concentrate while they improve their balance, flexibility, and circulation. Inflate (with standard ball needle) to desired level. Use on the floor, chair, during mealtime or anytime. Eight inches in diameter. Read&Write for iPad is an application that helps individuals with dyslexia with typing and reading online. The app is an alternative keyboard and Safari toolbar to help with everyday tasks like emailing, working on documents, browsing the web, and using online forms. Features include word prediction and "Speak As I Type" technology. There is extra assistance from the spell checker, dictionary, picture dictionary, and other study tools to help with essays, assignments, or general reading and writing. If using a Safari browser, the user can touch on-screen text to hear it read out loud with on-screen highlighting. Requires iOS 8.0 or later. 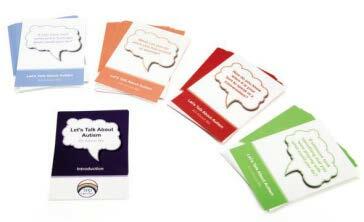 Let&apos;s Talk Autism – All About Me and Others Conversation Starters is a daily living and educational aid for children with autism spectrum disorder. It includes 48 conversation starters to help explore issues around autism for students with high functioning (Aspergers). This set takes a personcentered approach and helps different people including siblings, parents, caregivers, and teachers get to know how the child is best supported. Questions include "What can you do when you free scared or worried?" and "How do you know if someone is interested in what you are saying?" What is the Main Idea? Super Fun Deck is a game that helps individuals improve their reading comprehension skills. The story cards are designed to help students learn how to identify the main idea in a paragraph. Each card has a short narrative followed by three possible choices for the main idea of the story. Players listen to or read the story, and then decide which choice best represents the main idea of the story. 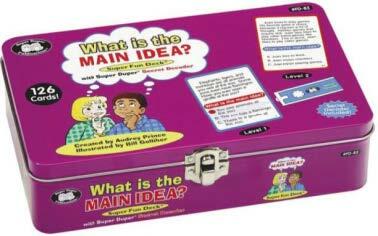 Deck includes answer keys and extension activities for 126 cards in total. Students can self-check their answers with the Super Duper Secret Decoder. Cards measure 3 inches x 4 inches and come in a sturdy storage tin. Two levels included: level one blue cards, #1–60, are 3–4 sen tences long; level two red cards, #61–120, are 5–7 sentences long.